Australian wine lovers often stick to what they know and what’s local. In comparison to wine from NZ and Australia, European wine can be confusing and overwhelming. Even when they’ve tried an amazing drop from France, Italy or Spain, it can be difficult to remember the exact name, region or pronunciation. This introduction to Burgundy will help you to pick a nice bottle and is a good way to get an understanding of French and European wine. 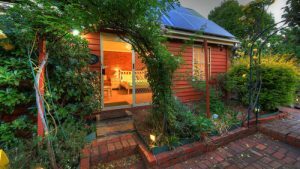 A good place to start is by comparing Burgundy to the Mornington Peninsula or Yarra Valley. These regions share some similarities to Burgundy in terms of climate and growing varieties. A great way to get a handle on the similarities and differences is to taste one against the other. 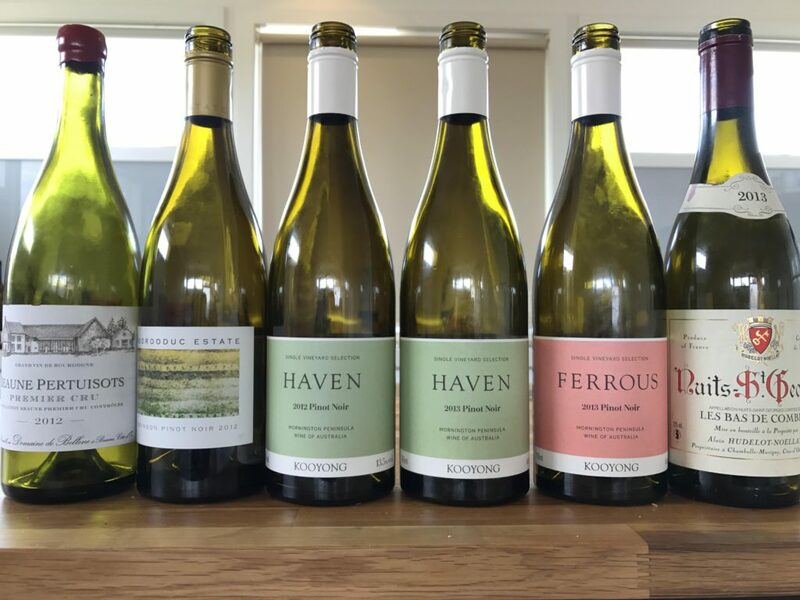 A comparison of single vineyard wines from the Mornington Peninsula and Burgundy, across two vintages. 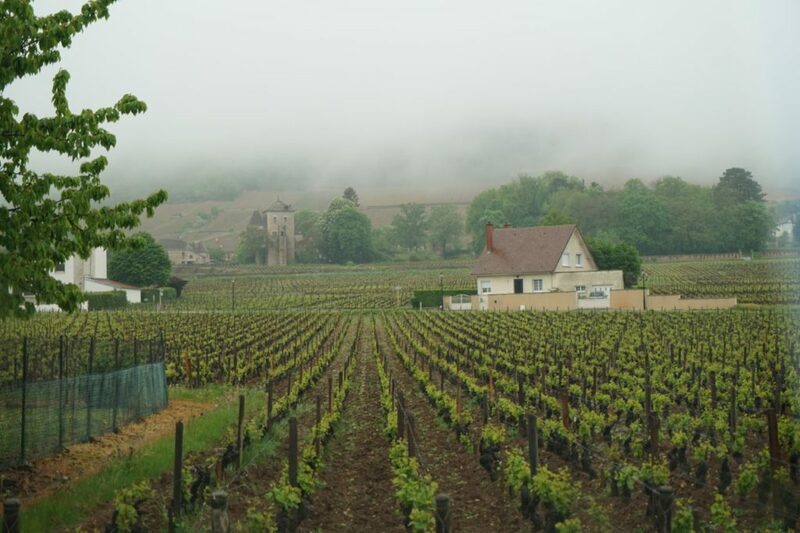 To the South and West of Paris, predominantly between the cities of Dijon and Lyon are the grapevines of Bourgogne (known as Burgundy in English), planted on the hills and chalky soils between tiny towns and villages. It has the look of fairly unremarkable farming country, but is home to some very remarkable wines. These wines have history, heritage and a reputation for getting people overly excited about what is essentially fermented grape juice. One of the hardest things about European wine is not having the grape variety listed on the label, which is the most common way to distinguish and select wine in Australia. In Burgundy, there is a pretty simple rule of thumb: red Burgundy is 100% Pinot Noir and white Burgundy is 100% Chardonnay. This makes it really easy to know what you’re buying and gives you some confidence in trying something new. Typically, red Burgundy is earthier and more medium-bodied than the fruit-forward, light-bodied Pinot Noir from Australia. Chardonnay has a similar range, with Chablis comparing to fresher, crisp Chardonnay from Victoria and white Burgundy can be big and rich like the best Margaret River wines. 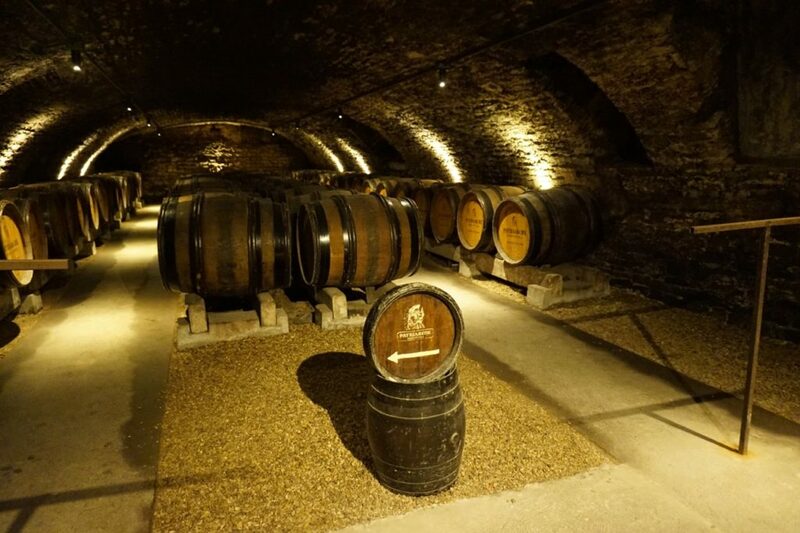 Chablis – Northern-most growing area of Chardonnay for still wine production, it produces crisp, minerally and concentrated wine that are fantastic with food. Côte d’Or – Home of the famous villages, wine routes and some of the most premium and exclusive wines in the world. Divided into the Côte de Nuits, which is mostly Pinot Noir, and the Côte de Beaune, which is mostly Chardonnay. Côte Chalonnaise – Produces lots of sparkling Cremant de Bourgogne as well as some villages making good value Pinot Noir. Maconais – Great region for Chardonnay. Doesn’t have great vineyards like the Côte de Beaune but is excellent value. Beaujolais – Ten villages producing Gamay Noir, a grape similar to Pinot used to make complex funky wines, or bright and cheerful Beaujolais Nouveau (Technically part of the Rhône but borders the Mâconnais). 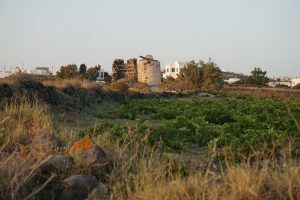 Confusingly, most of the best and famous vineyards are shared amongst a large number of winemakers and production houses. It’s not always easy to know where to start, which region or quality level to buy. The best way to navigate this is to find a recommended producer and try their entry-level wines. A good winemaker will have consistent quality across vintages and vineyards. If you like their standard Pinot Noir or Chardonnay, chances are their higher-level offerings will be worth seeking out.